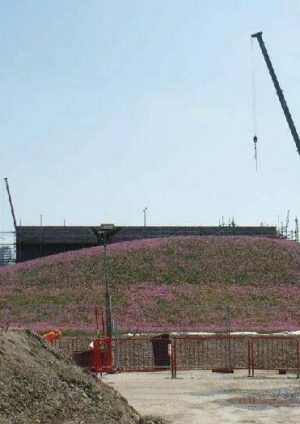 Even though Crossrail has been built through heavily populated areas of London, it has still had an impact on wildlife. The land surrounding our rail tracks, depots and stations supports a variety of wildlife. 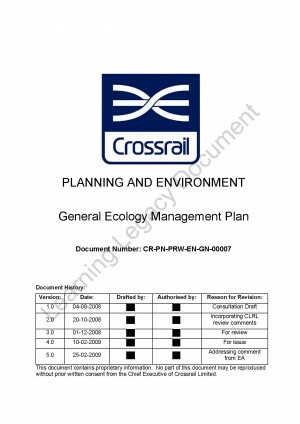 The impacts of constructing the project were assessed as part of Crossrail’s Environmental Statement. During the main construction period, the focus has been on protecting wildlife. For example wild orchids, reptiles, newts and giant eels were all re-homed from the Stockley Junction area in West London, slow worms were moved from the Old Oak common worksite and fish rescues were carried out from the docks at Canary Wharf and the Royal Docks at Connaught Tunnel. Biodiversity improvements have also been achieved in some areas as a result of the Crossrail Community Investment Programme which supports the local communities and environment. 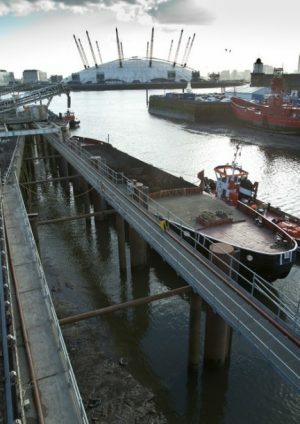 For example a new wildlife habitat was created on a section of the river Lea. As part of the completed works, we are also exploring opportunities to encourage greater biodiversity at several locations along the Crossrail route. In a landmark partnership with the Royal Society for the Protection of Birds (RSPB), 3 million tonnes of material excavated from Crossrail’s tunnels and stations has been used to create a flagship wetland nature reserve at Wallasea Island in Essex. It will provide a home for tens of thousands of migratory birds, and combat the threats from climate change and coastal flooding. The Crossrail material has been used to re-engineer the arable landscape and our construction teams have now breached the sea walls to create the new wetland landscape. Water voles inhabit most of Wallasea Island’s main ditch and Soke Dyke systems and as our construction programme at the island included an extensive re-shaping of the existing water courses, the voles needed to be re-homed. A total of 150 voles have been captured through organised ‘trappings’ and relocated under licence. A paper published by the Chartered Institute of Ecology and Environmental Management (CIEEM) provides a summary of a large scale water vole displacement study that was undertaken at the Wallasea Island site in 2013 and 2014 in order to test the effectiveness of natural displacement and live cage trapping. In addition, over 8200 common lizards and 30 adders have been rehomed as part of the works. 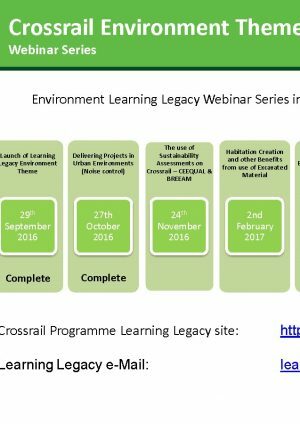 The DEFRA methodology for accounting for biodiversity was developed after the construction works for Crossarail had commenced. The accounting methodology is being used on the project as a way of describing the loss of biodiversity as a result of the project, with the aim of guiding proposals for restoring worksites that have been used for construction in order to increase biodiversity value. On the surface sections of the Crossrail route, where the works are being predominantly undertaken by Network Rail, it is also being used to investigate the potential for off-site compensation. The results of this work are presented in the Crossrail biodiversty accounting paper.